Over 97% Success Rate. Get Back on the Road. We Offer a Written Guarantee.Get Your Free Consultation. Anyone who is reading this knows how difficult and stressful it can be to lose your driving privileges. The circumstances and situation that led to your arrest and conviction can often feel unfair or harsh. The resulting punishment can cause great hardships including the loss of employment, strain on important relationships, an inability to get to work, grocery shop, get healthcare, or transport children. These losses can have a devastating effect on a person's life. The simple truth is that you need a driver's license to be a productive adult in Michigan. The good news is there is a light at the end of the tunnel. Our driver's license reinstatement lawyers in Michigan offer you the opportunity to capitalize on your chance to get your license back and on the road. We are going to put these problems in your rearview mirror and you back in the driver's seat of your vehicle and your life. Our confidence is built on winning. Our lawyers have a 97% success rate at restoring driver’s licenses in the state of Michigan. We are so driven to help you get your life back on track, that if you happen to fall in that 3% category who do not get their license restored at their first hearing, we will continue to represent you free of charge until you get your license back. This is our guarantee to you. Let’s identify the steps and procedures necessary to restore your driver’s license and highlight a few of the major advantages to retaining legal representation to obtain a favorable result. Are you Eligible to for a Restricted Driver’s License? The threshold question is are you eligible to petition the Secretary of State to have your license restored? There are three important time frames to consider when determining eligibility. First, the easiest way to know for sure is to have us look at your driving record for you to determine the date you become eligible to apply for a hearing. In most cases you are going to have to wait at least one year from the date you lost your license before you become eligible to request a hearing. Second, you must be sober for at least one year. Some people have a difficult time accepting that means they cannot drink for a year, but it is important to realize that regardless of whether you believe you have a drinking problem or not, after a second drinking and driving offense you are categorized as a “habitual offender” and the Secretary of State requires proof that you have your drinking problem under control, and that the drinking problem is not likely to return. You have to accept that if you want your driving privileges back you will need to demonstrate a year of sobriety. Finally, you must have a year without being caught for driving without a license. This means that even if it has been a year since your license was revoked and you have a year of continuous sobriety, if you get caught driving without a license the clock starts over again. We see this poor judgement occur far too frequently. If you are currently risking driving without a license -- stop immediately. You are putting your future and driving privileges at risk every time you drive without a license. Now that you have determined that you are eligible to request a driver’s license you can begin taking the steps necessary to meet the requirements to request a hearing. To get your driver's license back you are going to need to request a hearing through the Secretary of State's Office of Hearings and Administrative Oversight (formerly Administrative Hearings Section or AHS). After successfully compiling all of the documents, forms, and meeting the requirements below to request a hearing, you will receive a hearing date in the mail. Ultimately, your case will go before a hearing officer which is similar to a magistrate or a judge who will formulate an opinion and render a decision. This is where you really begin to build your case and demonstrate to the Secretary of State and the hearing officer that you deserve to have your driving privileges restored. First, you are going to need to do a 10 panel drug screen. You will want this step completed before you go to the Substance Abuse Evaluation so a state licensed substance abuse counselor can review the results of the drug test to include it in their report. The drug test results will also be sent along with the hearing request for the hearing officer to review. This is an important step to empirically verify that you have not consumed alcohol or illegal drugs recently. Second, you will need to complete a Substance Abuse Evaluation. The evaluator will talk to you about your history with drugs and alcohol and evaluate your support system and recovery program. The evaluation will include a comprehensive discussion of the stressors in your life including your work, relationships, family situation. 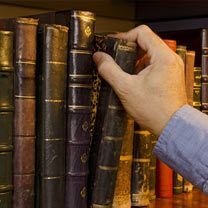 Due to our attorney’s extensive experience we know which evaluators will produce the best reports that include the most helpful information for the hearing officers to decide whether to issue you a license. We will put you in contact with the best evaluator in your area and prepare you for the types of questions you can expect. You will be confident that you are ready and prepared to receive a positive and favorable report on your substance abuse evaluation. Third, you will need to get between three to six reference letters that will document your sobriety from people in your life. You will need the letters to be signed and notarized. This is more of an opportunity than an obligation. You should use family, friends, co-workers, leaders and role models from support groups to speak favorably about the changes that remaining sober has had on your life. A letter from an AA sponsor can be a powerful tool to show your involvement and commitment to your support network. All of your letters will want to include certain key information including, how the person knows you, how long they have known you, the last time the person was aware or saw you use drugs or alcohol, and how often the person sees you. Finally, you will need evidence that supports your sobriety. This includes evidence that you have taken your recovery seriously and invested in your sobriety. The purpose of this evidence is to prove to the hearing officer that you are both serious and committed to your sobriety and that the changes you have made in your life are likely to be lasting. If you have a sponsor you will want to get a letter from him or her verifying your sobriety and detailing your work with the 12 steps. Regular Alcoholic Anonymous (AA) meeting attendance and working with a sponsor are two of the easiest and most effective ways to demonstrate a commitment to sobriety. However, AA attendance is not required. Counseling with a therapist or a certified drug and alcohol counselor can also be used to show an investment in your continuous sobriety. Another alternative is Self-Management And Recovery Training (SMART) meetings which are non-12 step support group meetings for recovery and abstinence from drugs and alcohol that takes a scientific approach to self-recovery. The above steps are an overview of the what you will need to submit to request a License Restoration Hearing. Each step can become very involved and time-consuming. It may even seem daunting. That is why having help from an experienced firm like Grabel and Associates is indispensable. We will guide you through every step and review all of the documents to ensure the accuracy and compliance necessary for success before submitting your hearing request. Now that you have your drug screen, substance evaluation, and all of your letters and forms complete you are ready to submit a request for a hearing. Compiling all of the documents you have gathered and sending them to the Secretary of State to make the request for a hearing happens now. If all of the paperwork is not in order, the secretary of State will not schedule a hearing for you. This can cause a lengthy delay and require you to repeat the process possibly pushing back your hearing date months. This is why it is so valuable to have an attorney help make sure you have all of your forms, documents, and paperwork in order. At Grabel and Associates, we will make sure you get everything right on your first try. In our experience it usually takes two or three months after the hearing request is submitted before the hearing is actually held. However, you will receive a notification with the date and time about two or three weeks before the actual hearing. Now is the time when all of the hard work and preparation pays off. 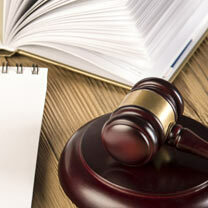 It is time for you and your attorney to deliver a winning presentation to the hearing officer. The hearing date is set and you are ready to go! The Secretary of State employ several hearing officer’s throughout the state, and unsurprisingly each hearing officer has their own personality, proclivities, and predispositions to conduct their proceedings and render their decisions in their own personal way. Thankfully, the attorney’s at Grabel Law have practiced in front of every hearing officer in the state and are familiar with each officer’s particularities. Regardless of which hearing officer is assigned to your case we will know how to prepare you for success. Now you can breathe a sigh of relief. You prepared all of the documents, answered the hearing officer’s questions, and walked out of the administrative hearing with your head held high! All that is left is to sit back and wait the four to six weeks to read the decision you get in the mail. Grabel & Associates wins 97% of its driver’s license restoration cases, so if you hire us, you can rest easy and expect to receive a favorable decision. When your license is restored, you will need to have your vehicle equipped with an interlock device. The device is more commonly referred to as an in-car breathalyzer or a “blow-n-go”. You may have additional restrictions on where you can drive. You will have to have the breathalyzer in your car for one year before you can petition to have it taken out. We offer a free initial consultation. Contact one of our experienced driver’s license restoration attorneys to find out how we can help you through the complicated maze of driver’s license reinstatement and succeed the first time around! If your driver’s license has been suspended or revoked, our team is ready to get you back on the road. • How Can I Get My Revoked License Back in Michigan? How Can I Get My Suspended License Back in Michigan? What Restricted Driver's License Use Does Michigan Grant for Suspended Licenses? Why Could My License Be Suspended in Michigan? Why Hire Our Driver's License Attorneys? In Michigan, people are limited to filing only one driver's license restoration petition per year. If an appeal is unsuccessful, you have to wait another year before filing another request. However, Grabel & Associates provides clients a written guarantee. If we don't succeed in getting your driver's license restored at the first hearing, our Michigan driver's license reinstatement lawyers will represent you at no charge in any future trial until your driving privileges are restored. It is therefore in our interest, to succeed the first time around, avoiding the misery of another year without a driver's license and unpaid work for us. Our reputation for outstanding results has been built on the strength of our guaranteed efforts. Contact us today to discuss the details of your situation and find out whether you are eligible for a hearing or an administrative review before the Michigan Driver Assessment and Appeal Division. 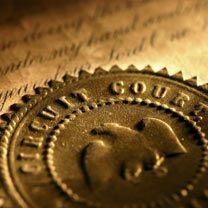 If you entrust us with your case, we will immediately send you an information packet and begin the process of scheduling your review hearing. In most cases, such hearings are scheduled within six to eight weeks from the date when the petition reaches the Michigan Secretary of State's office. If your driver's license has been revoked or suspended and you are ready to begin the restoration process, please review the additional information on our website. Contact the experienced and dedicated Michigan attorneys at Grabel & Associates right away. With lawyers throughout the entire state of Michigan, Grabel & Associates handles driver's license matters in all 83 counties. Contact us 24/7 by calling 1-800-677-9795 (toll-free) or filling out and submitting our online "Contact Us" form. If your driver’s license has been revoked or suspended, our attorneys are standing by to help you restore your driving priveleges. Call for a free intial consultation with Grabel & Associates. 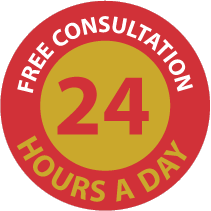 We are available 24 hours a day, seven days a week, to answer any questions you may have. The driver’s license restoration attorneys of Grabel & Associates represent people seeking reinstatement throughout the state of Michigan. 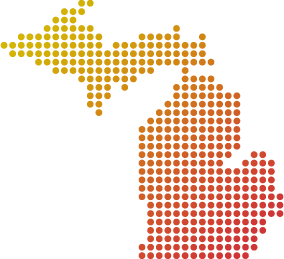 These communities include; Lansing, East Lansing, Grand Rapids, Holland, Muskegon, Benton Harbor, St. Joseph, Pinconning, Kalamazoo, Mount Pleasant, Bay City, Saginaw, Brant, Traverse City, Ludington, Allegan, Hillsdale, Lapeer, Port Huron, Ann Arbor, Detroit Northern Michigan and the Upper Peninsula.